If you remember my cunning genius plan was to sell my Vareo and buy a new boat – and currently it’s well underway. Its getting picked up at the weekend, having been sold on eBay. Some people can be a bit sniffy about this but the bottom line is you get your boat sold quickly for what the market is prepared to pay for it, so you can get on with the rest of your sailing season. So I went to look at a new boat this weekend. This didn’t go so well in that this quickly changed to touching new boat, stroking new boat and identifying that new boat and I were always meant to be together, swiftly followed by buying new boat. It’s on my drive. I am very excited. I am just as excited as I am suddenly ‘one of the gang’ people with the same boat are excited about it too and discussing when we are all going to go sailing together and how we are only one boat off our own class start. We are messaging exciting news about the boats and our sailing, texting and facebooking. I’ve never been one of any gang, ever! We are all going to a coaching day next Sunday and going to inspect each others boats and do tinkering! We are going to stand around and talk about it all together! We might even get them wet! It’s we and not I!! So far so good. 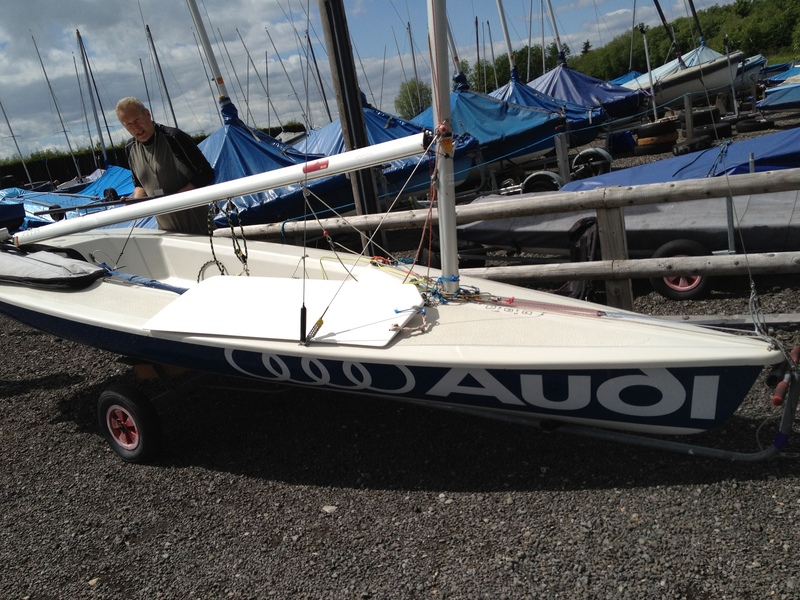 Only problem is, I’ve bought a boat to sail with a fleet at… Kielder! Looks like I’m back racing there again! So I am still on the lookout for a cheap boat (for cheap boat read floating wreck based on the pennies I have left…!) to join a Wednesday fleet at South Shields. And the boat? Well someone has to encourage the Mr onto the water – I’ve bought a Supernova, the same as him.